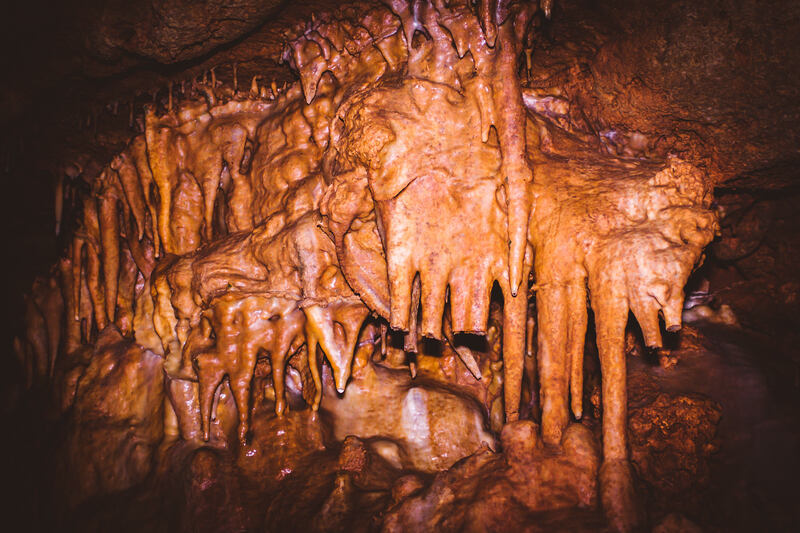 Detail of the alien world of Texas’ Inner Space Cavern. 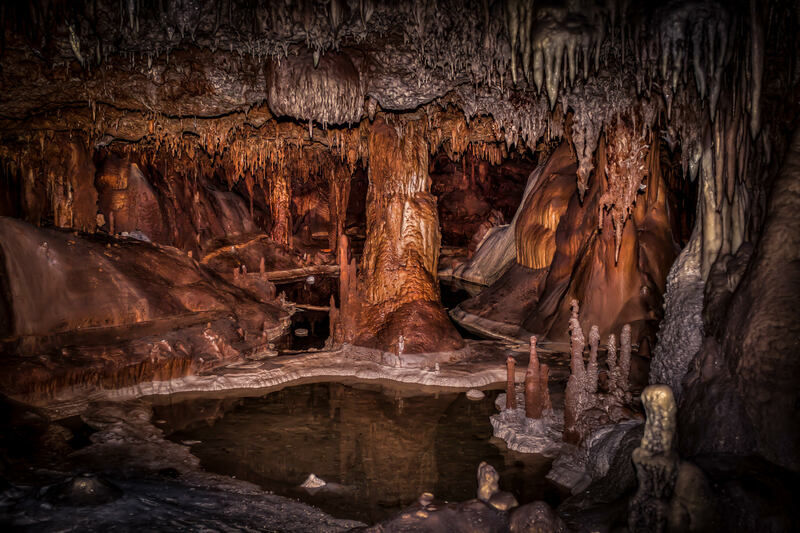 A pool of water amongst the stalagmites, stalactites and other rock formations in Inner Space Cavern, Georgetown, Texas. An Eastern Pippistrelle bat sleeping in Inner Space Cavern, Georgetown, Texas. 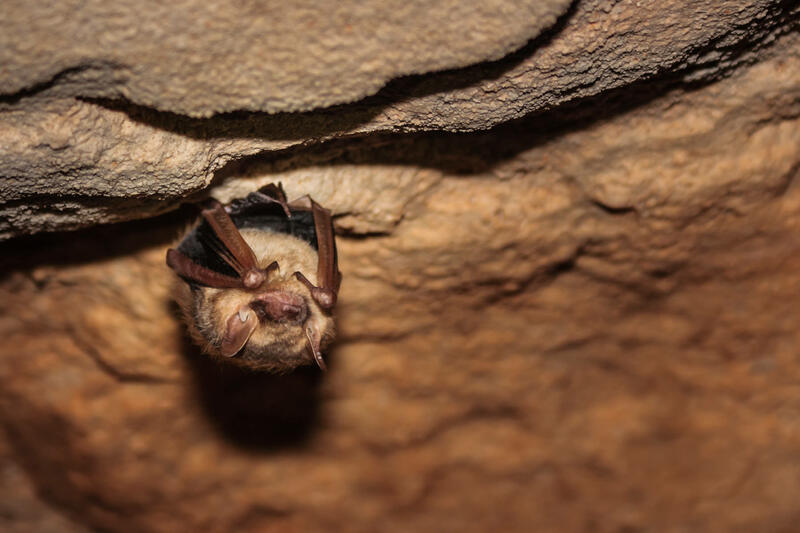 These bats, also known as Butterfly Bats, are the second-smallest species of bat in the United States.